• Investing in the cryptocurrency world can be daunting. Volatility is extremely high in comparison to other asset classes and being a successful investor demands a high level of involvement, unless you find yourself jumping in during a bull run. • The INDICES is composed of 5 portfolios of the highest volume coins available on different Exchanges, and represents the entire blockchain ecosystem. 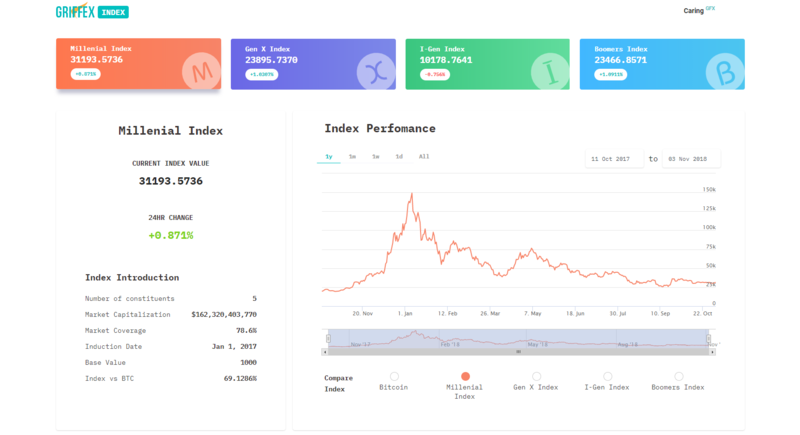 In essence, the index allows investors to passively track the trend of the entire cryptocurrency ecosystem, without relying on the success of a particular coin, such as Bitcoin or Ethereum. GFX is the platform token issued by Griffex exchange. It is essential for participating in the GFX trading ecosystem. Mineable GFX tokens (one-half i.e. 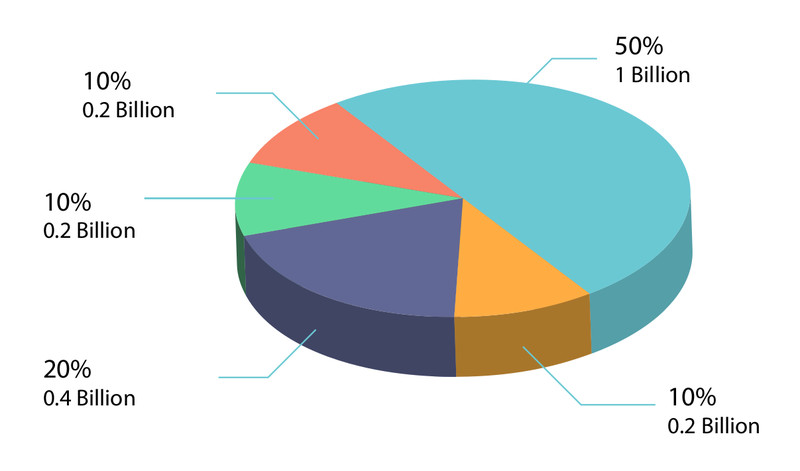 1,000,000,000 of total supply) is reserved for platform users in the form of high-frequency trading fee rebates. The creation of tokens from this process is commonly known as mining through trading. Griffex solely reserves the right to adjust the rebate rate in future, with a committed minimum rebate cap amounting to 70% of the transaction fee. The price of GFX token would be determined at the time of trade finalization, with respect to market forces.